"It's never any one thing that causes people to move," said Michael Oppenheimer, a Princeton University climate scientist who's researched climate-driven migration. "But we have a lot of evidence from many different countries that relatively modest variations in the climate, that could be short-term or long-term, do cause people to move." It's hard to say how many people could be pushed across the U.S.-Mexico border by climate change, in part because there's been relatively little research on the subject so far. A 2010 study co-authored by Oppenheimer found that up to 6.7 million people could come to the United States from Mexico as a result of global warming by 2080. A study last year from researchers at the University of California Davis projected just 41,000 additional immigrants over the next 50 years as a result of climate change. What those studies and others have in common is a finding that high temperatures and reduced rainfall — conditions that are becoming more common with climate change — have contributed to past waves of migration from Mexico to the United States. "More hot days in rural Mexico, predicted by the major climate models, will increase migration out of rural Mexico, including to the U.S.," Ed Taylor, a development economist at UC Davis and co-author of the 2016 migration study, said. Valerie Mueller, a development economist at Arizona State University, has studied the vulnerability of rural households in developing countries to climate risks. She said there's a general consensus that rising temperatures have been contributing to people moving away from rural, agricultural areas in developing countries — usually to other rural areas and cities within their own countries, but sometimes across national borders. "A lot of it is being driven either by vulnerability to crop loss, or wage laborers losing their jobs because farmers can no long afford to hire them," Mueller said. It's hard to predict whether the border wall proposed by President Trump would deter climate-driven immigrants of the future, in part because the impacts of rising temperatures will play out over decades, in ways that are still unpredictable. But Mueller said it's important to keep in mind that more people moving from Mexico to the United States could be a good thing economically. Farmers in California's Central Valley have faced a shortage of laborers as legal and illegal immigration from Mexico has declined. At the same time, Mueller said it's not yet clear how much of a difference climate change will make to overall migration levels, considering the relatively low number of immigrants from Mexico the past few years. 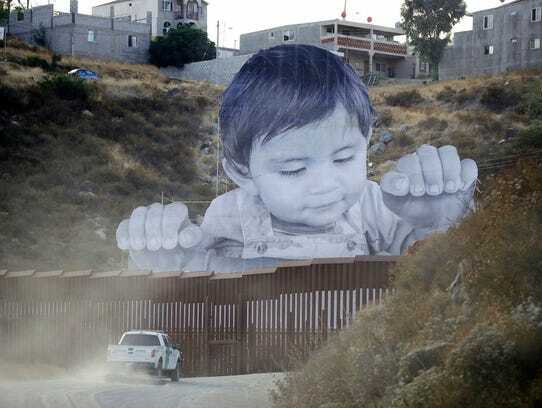 In 2015, the Pew Research Center reported that since the end of the Great Recession, more Mexicans had left the United States than had moved here. 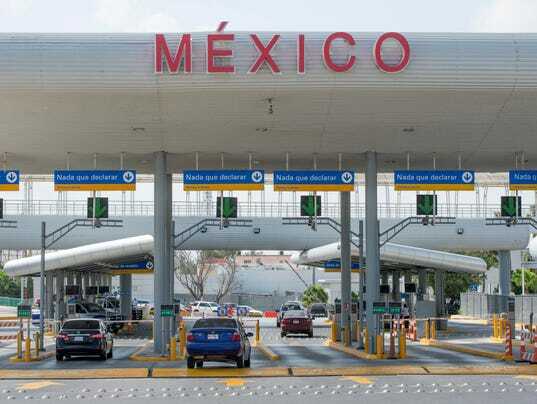 Analysts attribute that drop in immigration to several factors, including improved economic conditions in Mexico relative to the United States, lower birth rates in Mexico and tougher enforcement of U.S. immigration laws under President Obama. With climate change, Mueller said, "It's not so clear whether these increases in immigration flows are going to lead to a mass exodus of people into the United States." Susan Martin, an emeritus professor at Georgetown University and expert in international migration, also believes any climate-driven migration from Mexico to the United States will be relatively small. She said the Mexican government has improved its social safety net significantly over the past decade, giving agricultural areas greater insurance against the risk of climate-fueled crop losses. She said the United States may be more likely to see a big increase in climate-driven migration from Central America, where more extreme weather is adding to the instability created by violence and poverty. "It's not that climate change won’t create problems for people in Mexico, particularly in those semi-arid zones which will become more arid," Martin said. "It's just that they have more options, and moving to the U.S. is a less attractive one, given all of those changes in Mexico." The issue of climate and migration is much bigger than one national border. A report released last month by the Environmental Justice Foundation, a London-based nonprofit, found that extreme weather-related disasters have displaced an average of 21.7 million people annually over the past decade, and those numbers are likely to rise. Another study released last week from researchers at Columbia University found that higher temperatures in recent years coincided with more asylum applications to the European Union, and predicted many more refugees will flood Europe as the world gets hotter. Pope Francis discussed the "climate refugee" crisis in his climate encyclical in 2015, writing, "There has been a tragic rise in the number of migrants seeking to flee from the growing poverty caused by environmental degradation." "They are not recognized by international conventions as refugees; they bear the loss of the lives they have left behind, without enjoying any legal protection whatsoever," Francis wrote. "Sadly, there is widespread indifference to such suffering, which is even now taking place throughout our world." Sammy Roth writes about climate change for USA TODAY. He can be reached at sammy.roth@desertsun.com, (760) 778-4622 and on Twitter @Sammy_Roth.